COUNTRY LIVING AT ITS BEST! 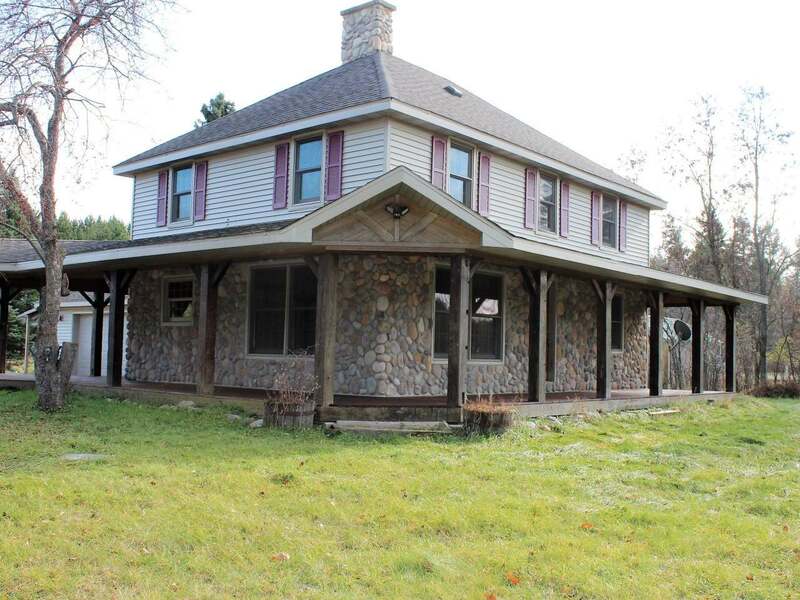 18 ACRE HOME WITH 2 CAR ATTACHED, 1 CAR DETACHED AND POLE SHED WITH BARN. This 1600 sqft Home consists of 3 bed, 2 bath with a completely remodeled kitchen. The Dining and Living rooms have hardwood flooring and wainscotting on the walls throughout. Heading upstairs you will find 3 bedrooms that have views of the pasture land with apple and crab apple trees. The pole shed and barn have fenced in areas for your horses or livestock. The pole shed is 24x48 that is insulated with power and water. Call today to set up a showing!